Dads are really, really, cool, Aren't they? 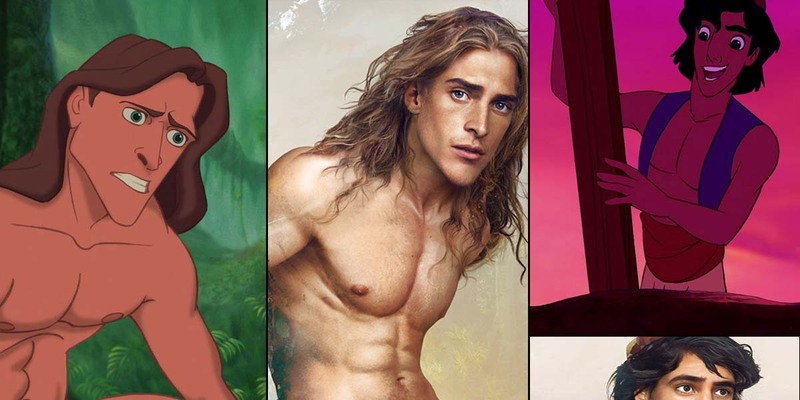 We all love our dads. If someone ever dislike their dad, it is because they are cooler than them and often dominate them with sarcasm, quick wit and a great sense of humor. 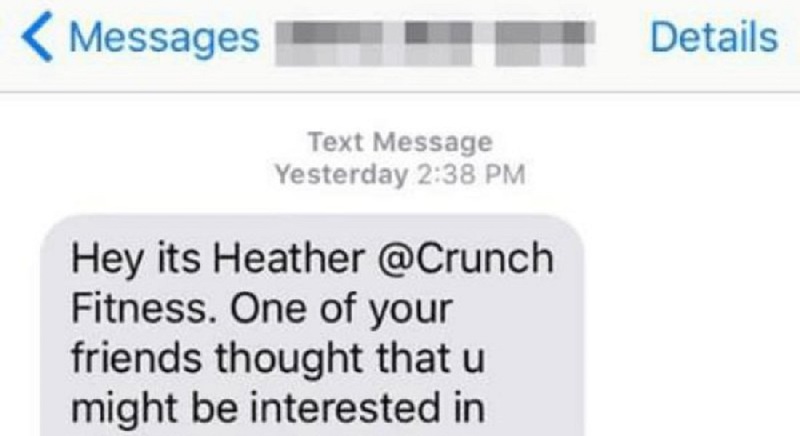 Here are fifteen texts from smart, intelligent, dumb and all kinds of dads that make you laugh. 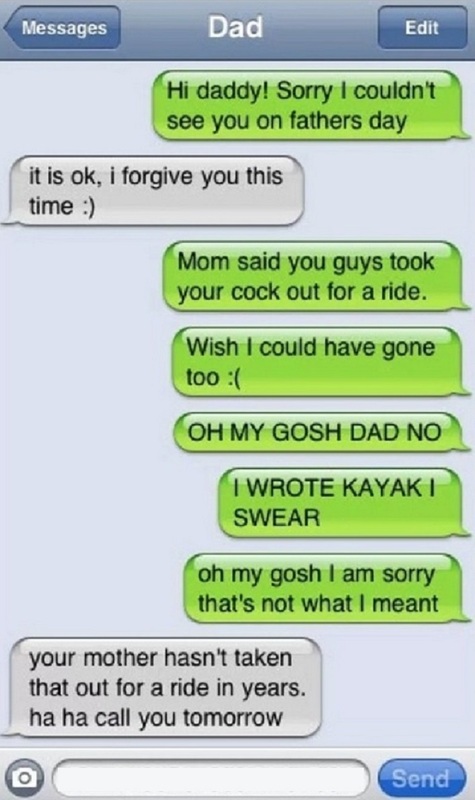 Damn autocorrect! 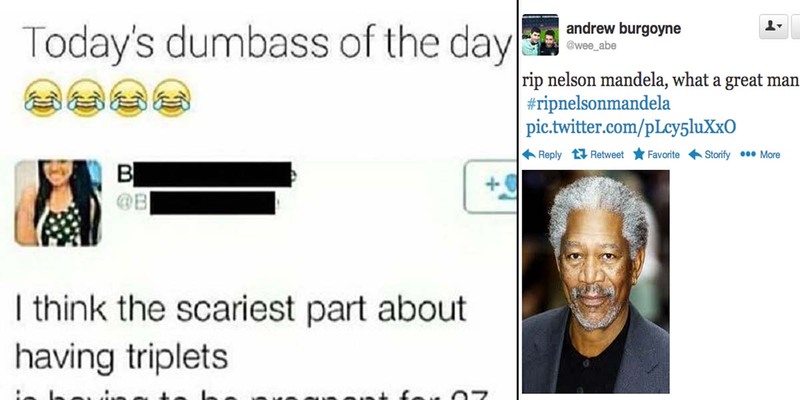 Some autocorrect fails are so hilarious that they go viral on the internet. 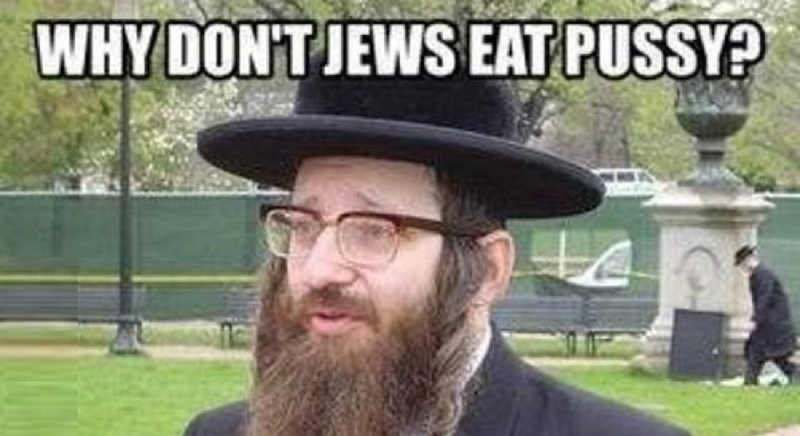 This is one of those autocorrect fail pictures. 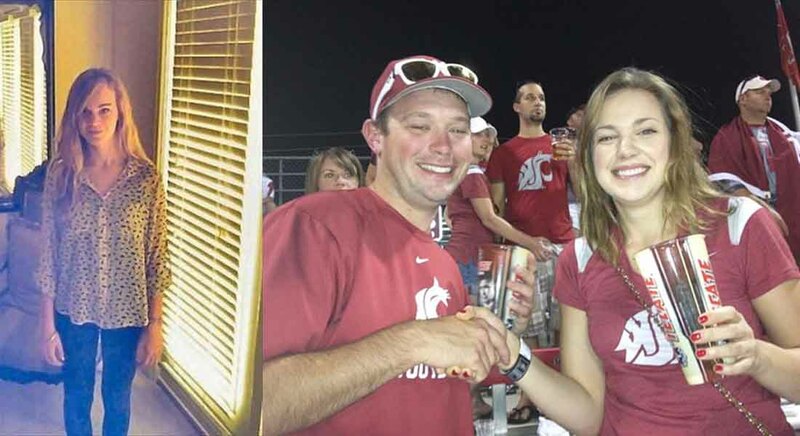 This time, it happened between a dad and his daughter. 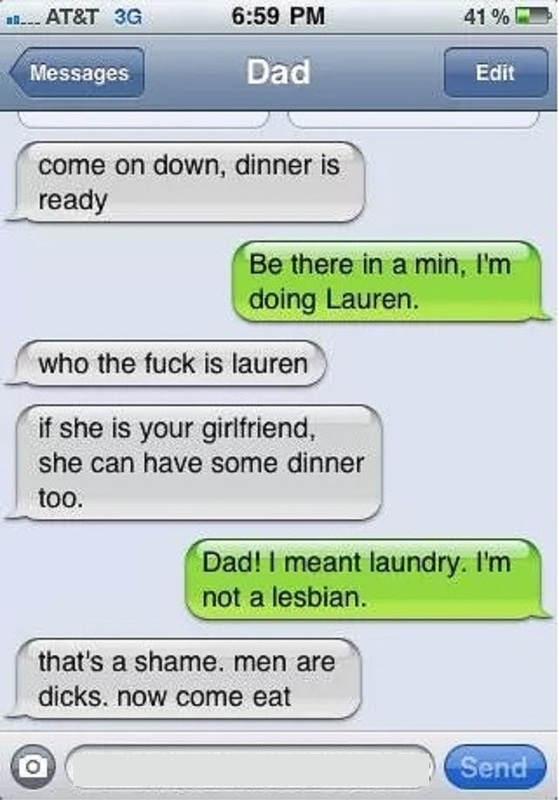 As you can see from the image, the dad there was thinking his daughter is a lesbian, as 'Laundry' was autocorrected as 'Lauren'. This is another funny conversation between a dad and his son or daughter. Once again, an autocorrect fail made it all look awkward and creepy. More than the typing mistake, it was that dad's response that makes us laugh. As you can read, he was unhappy that his wife hasn't taken his 'thing' out for a ride in years! What's the best time to tease your kids? When they are scared and terrified! 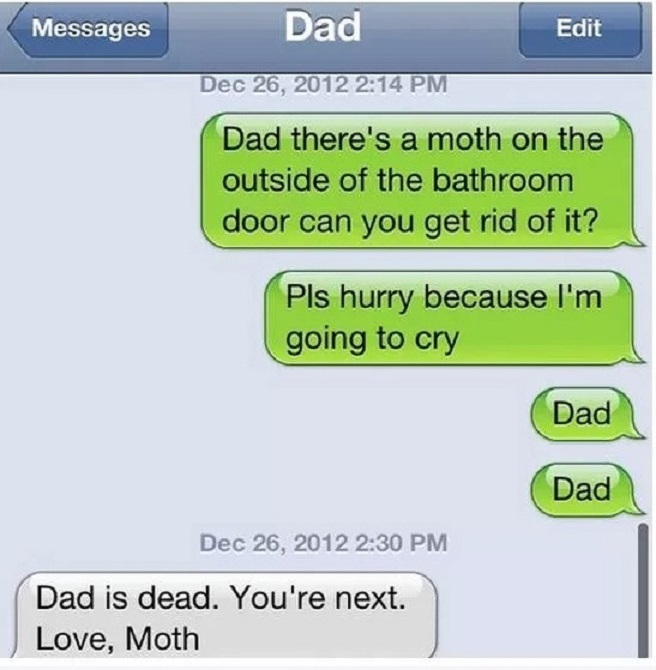 This dad knows how to deal with his kid who's afraid of moths. It looks like the kid was already afraid of a moth and After reading his dad's text, he would have got a heart attack. 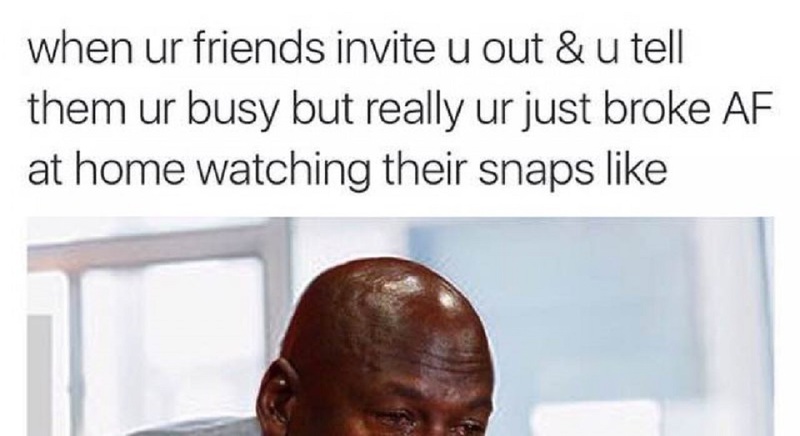 Dads with a good sense of humor are super cool.